One Maine entrepreneur is moving her all-natural dog treat business out of her kitchen and into a downtown storefront thanks to her recent $20,000 prize package. Amanda Clark, 21, is the proud owner of The Maine Barkery and the winner of the first Entrepreneur Challenge in Skowhegan, Maine. The young businesswoman is now looking forward to expanding her company. Clark’s company makes all-natural dog treats from ingredients that are sourced locally. She sells the treats wholesale to more than a dozen pet retail stores around the state. Clark is hoping to increase production in her new space, and she’ll also be adding a retail space to sell her treats along with other Maine-made safe and healthy dog products. The Entrepreneur Challenge was sponsored by Main Street Skowhegan and Skowhegan Savings Bank in an effort to bring more small business to the community. Clark’s prize package includes a $10,000 forgivable loan, the commercial storefront, phone lines and Internet access, bookkeeping services, carpentry services, website design and development and a handful of other accounting, banking, legal, insurance and marketing services – everything a business owner needs to get started! The competition began with 10 contestants. In order to be eligible, participants had to either expand an existing business or start a new business in Skowhegan or move an existing business to the area. The challenge spanned about 6 months and included numerous educational seminars. Participants were given an overview of what it was going to take to get a business off the ground and plenty of guidance in developing their business plans. Not only was this an amazing opportunity for entrepreneurs, but it was also geared at helping the economy in a small town – a win-win situation! Clark is a graduate of the New England Culinary Institute with a Certificate in Professional Baking and Pastry Arts. Like many other entrepreneurs in the pet food industry, the idea for her business came from her own desire to feed her dog, a border collie, a more nutritious diet. She began making her pet wholesome treats with locally sourced ingredients including oats, pumpkin, carrots and sweet potatoes. A friend of hers just happened to own another local business in town and agreed to start selling Clark’s dog treats. The rest is history, and now Clark has high hopes of expanding her business and selling her treats in her own retail space. If you’re thinking about starting your own dog-related business, chances are you won’t find an opportunity like this in your local area. However, there is probably a small business association or other organization near you that offers free or inexpensive business development services. There may also be an organization, like a local bank, that works to help support small businesses financially. Opening a small business is a lot of work, and you’re going to need support. Do some research online or inquire at your local town office or city hall. There may be resources for entrepreneurs in your area and it will benefit you greatly to take of advantage of them. 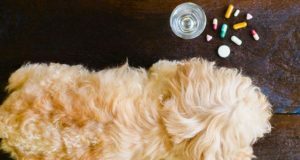 Next articlePet Insurance Comparison: What is the Best Pet Insurance for Dogs?